L087-015 Asbestos Pad for CF250cc Water-cooled ATV, Go Kart, Moped & Scooter. The item fits for CF250cc Water-cooled engine. BRAND NEW PRODUCTS. BEST QUALITY GUARANTEED. 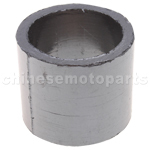 L087-014 Exhaust Pipe Gasket for CF250cc Water-cooled ATV, Go Kart, Moped & Scooter. The item fits for CF250cc Water-cooled engine. BRAND NEW PRODUCTS. BEST QUALITY GUARANTEED. 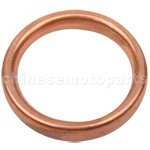 L087-009 Exhaust Pipe Gasket for GY6 50cc&150cc ATV, Go Kart & Scooter The item fits for GY6 150cc engine. 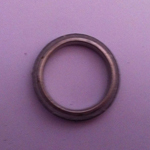 Diameter: 30mm Please check with what I offer to confirm if the one you need. 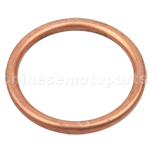 L087-010 Exhaust Pipe Gasket for Motorcycle. The outside diameter:32mm The inside diameter:24mm Thickness:5mm We assure you the best quality and customer service. Any questions,please email us. 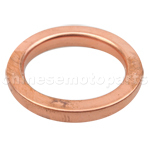 L087-011 Exhaust Pipe Gasket for Motorcycle. The outside diameter:40mm The inside diameter:30mm Thickness:5.5mm Any questions,please email us. 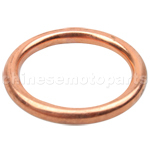 L087-012 Exhaust Pipe Gasket for Motorcycle. The outside diameter:33mm The inside diameter:26.5mm Thickness:4mm We assure you the best quality and customer service. Any questions,please email us. 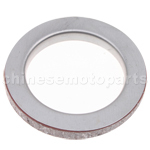 L087-013 Exhaust Pipe Gasket for Motorcycle. The outside diameter:39mm The inside diameter:32mm Thickness:4mm We assure you the best quality and customer service. Any questions,please email us.